Aran Sweaters and the big finish! 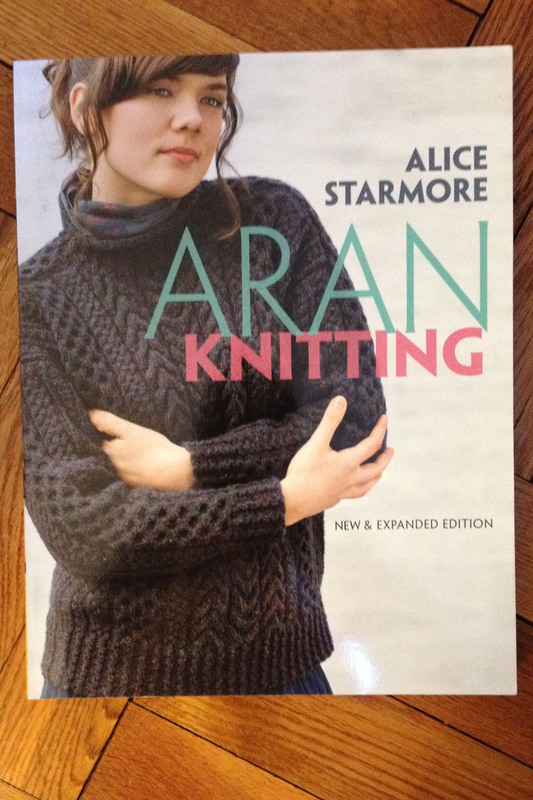 Today I went through the original Aran Knitting (hardcover, 1997) and the new and expanded edition Aran Knitting (trade soft cover, 2010). Most of the original sweaters were included in “new and expanded”. Some were recolored and rephotographed. I really didn’t feel that the difference was really great in the update. I loved the red-haired model from the original book rather than the brunette used in the revised book, but that doesn’t really matter in terms of the sweaters. The man’s sweater above is shown on the new book as the cover sweater on a woman. It was the one I’ve chosen to knit, even though I haven’t made much headway on the knitting. The other sweaters (a few shawls and hats) are mainly classics that perfect for knitters who love cables. I was thinking that the two shawls (a bit heavy for shawl wearing) would be terrific as throws if they were made slightly wider. A few of the sweaters are a bit long with an ’80s vibe. That could be easily changed by a knitter with some skill in adaption. Boudicca’s Braid (Celtic Art based). I really don’t like this one. I would say “hate”, but that’s a pretty strong word. 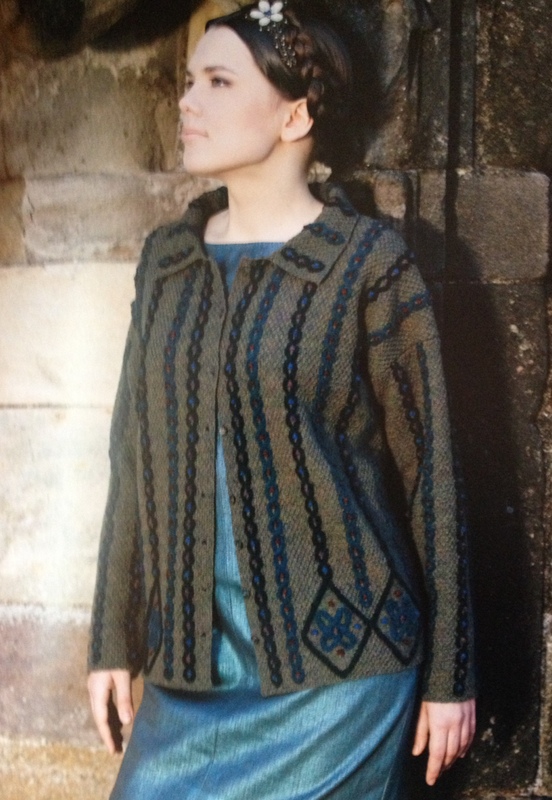 This cardigan doesn’t add much to the book that is until this sweater based on one-color beautiful designs. Eala Bhan (Alice designed this for herself). This is modern and beautiful. I do love this cardigan. It has very long instructions, but she says it’s not difficult to knit. The final section is based on designing your own Aran sweater. I think it would be best used to help adjust a pattern, but for someone who wants to create a unique sweater. There is two pages that discuss blocking, seaming, making tassels and fringe and the care of wool garments. 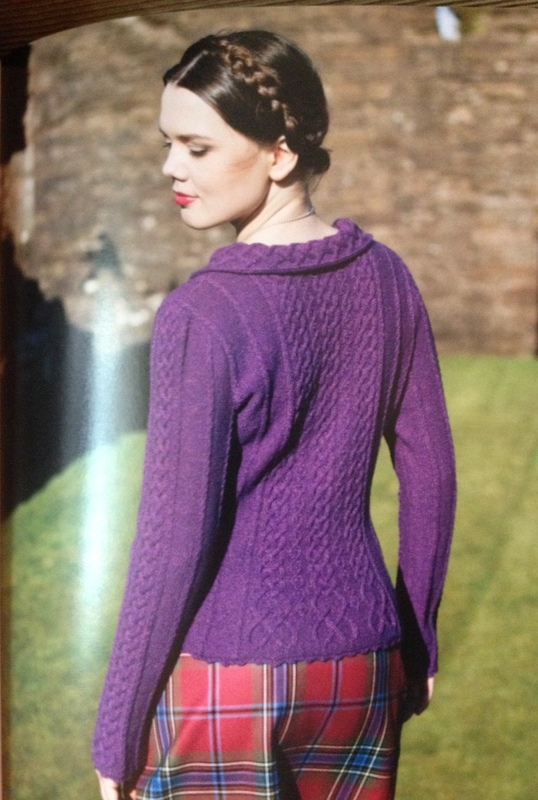 There is also “a word from your sponsor” with info on buying Alice Starmore Yarns. I do think this is really good for those who want to make the sweaters as they appear in the book. Alice gives a web site – alicestarmore.com – which didn’t seem to go anywhere when I clicked on textiles. I also looked at virtualyarns.com where yarn, books and patterns by Alice can be obtained. This site seems good and up-to-date. I give this book a thumbs up. Worth keeping and having in my library. At this point I might keep both copies as I like the man’s version in the early book and the woman’s in the later version. One day I might have to choose and give up one or the other….. This book is going very slowly, but this week I feel like I made headway. I got through the text heavy speculations on when Aran Knitting actually started. In the end in the final speculation Alice believes that the reality is that the first ’40s and ’50s – much later than anyone else dared to say. By the time I got through it, I’m not sure that I really care anymore. Aran Knitting is still interesting to many knitters – especially those who buy this book! 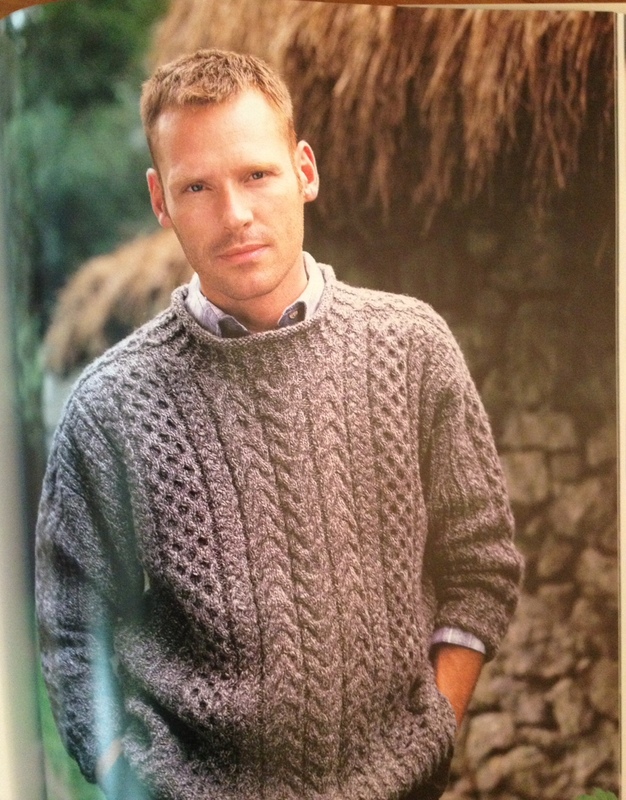 So from there I went on to Aran Patterns – Yeah! 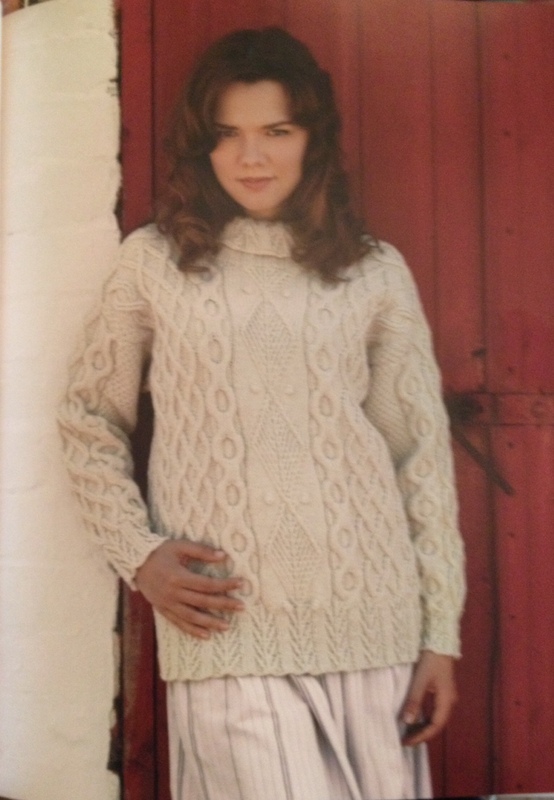 All the stitch pattern photos were knit in Alice Starmore Bainin (an Aran weight wool). It’s actually a really good yarn for the stitch pattern which appear crisp and stand out well from the reverse stockinette background. The light plum color photographed very well. Actually better than off-white and definitely better than a dark shade. This is a meaty section – from page 52 through page 99. A great reference library for cable lovers. I thought I knew lots about cables, but I did learn more than I thought I would from the book. For me, this is the most important factor in my own personal “keep or lose” in book reviews. First, There is a good chart key, although the actual symbols are not ones that I see generally used in US publications. I give Alice good marks on including excellent illustrations/drawings of how to create various cables beginning with the simplest cable crossings. Alice covers many cable variations from double cables to diamond shapes cable formations filled with bobbles, seed stitch, and twisted stitches. The honeycomb panels – I hate. The plaited cables – I love. 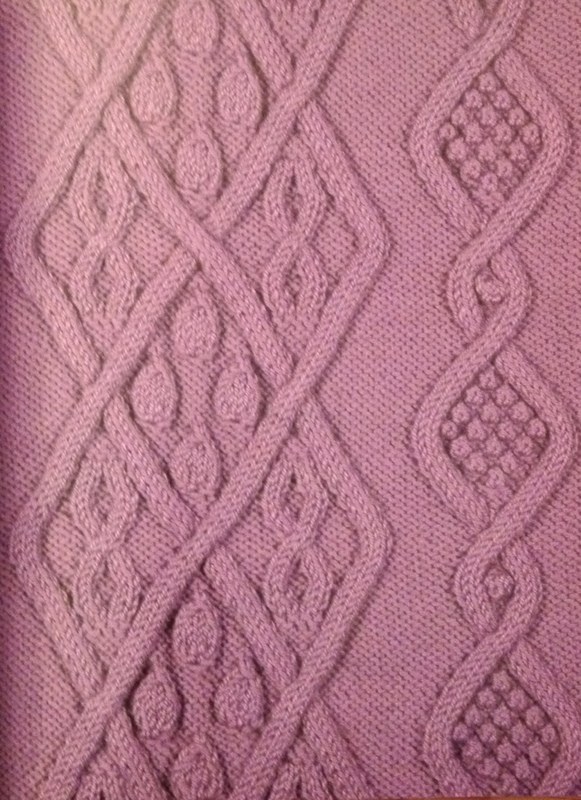 The surprise was the openwork patterns. 1) A problem I’ve often had is to figure out what row to actual make a cross. The drawing of “counting rows between cable crosses” shown from the back of the work makes so much sense. Why didn’t I ever think of that before? 2) A good tip – decrease stitches before binding off so that the bind off does flare out. No, I’m not quite done with this book. In my next post I’ll talk about the designs shown in the book. I want to look at the original book to see if there are any new ones added. As we say in publishing – tk (to come)! What is an Aran Sweater? I staggered through Alice’s conclusions on Construction and Style. The circular Scottish and/or British Gansey was the beginning point for the final very commercial Aran Sweater (knit in flat pieces). Then she went on to how the patterns occurred. I’m not sure I completely understood the whole concept. Some of it came from designing sweaters and patterns that could be easily commercially executed. Some of the patterning came from ideas based on the original Gansey concept. The best and most concise think I learned was how Alice defined the Aran Sweater. After that “Ah ha Moment”, I decided to stop for the moment. These pages are really text heavy – in small type I must say. I’m not sure that is a good thing. Not light reading! The sweater above is a good example of a Classic Aran Sweater. In my last post, Alice was off to study sweaters in the Dublin National Museum of Ireland. In my recent reading she dissected 4 garments beginning with an early piece (donated in 1937) from Aran that had the structure of a Scottish Gansey. Her dissection was complex and through. Actually, I was awed by her knowledge of knitting structure. From the first garment, she concluded that what began as circular knit garments without seams evolved into Aran Sweaters knit in pieces. This seems to have been done to allow a knitter to work with textured patterns without being a mathematical genius needed to work out some of the shaping points in the sweaters. One remarkable conclusion made by Alice is that Aran women learned Gansey knitting skills from Scottish sources. 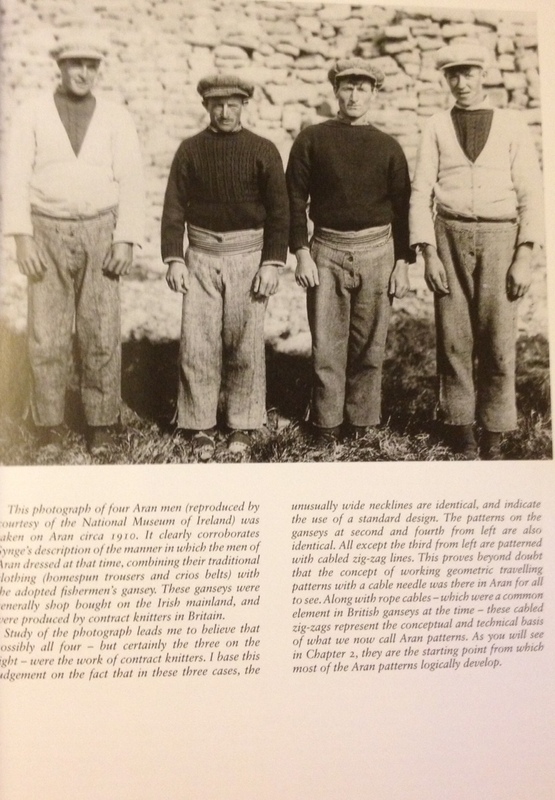 Also, Aran sweaters (often called f) were not made as a fisherman’s garment. Will talk more about this in my next post. I want to talk more about Alice’s conclusions, but I’m off to visit the UK tonight and have a plane to catch! I’ll be silent post-wise for a couple of weeks. Sadly, I’m not visiting Aran, although it is on my bucket list!